My own son, Micah, a first grader, thought since we didn’t have a letter of the week, i should teach the kids the chunk TH. in honor of thanksgiving, we make turkey hands. i don’t know how many years we’ve done this, but it is so fun to see how different they all look! the child picks the color of paints to use and the teacher paints her hand. 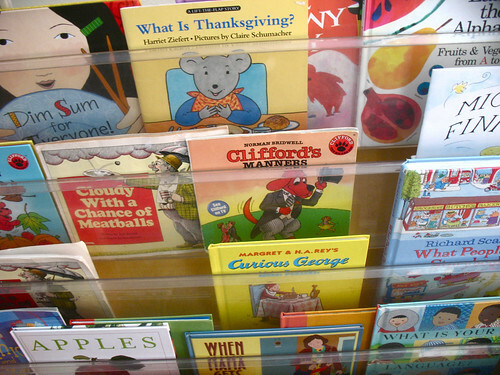 this is naturally an intimate way for the teacher and child to connect. for the child who doesn’t want her hand painted, we trace it with pencil and then paint it in. 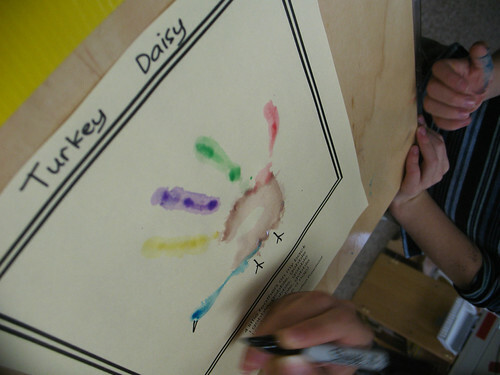 then the teacher turns the handprint into a turkey with a few strokes of the marker and a red paint blob! 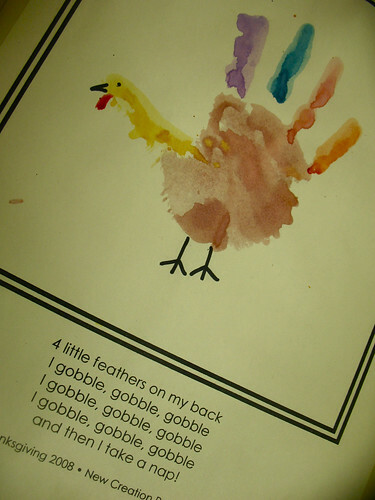 this poem has turned into a big body experience with our hands up over our heads and we say “so many feathers on our back” instead of “4 little feathers….” when we say “…and then i take a nap” the children fall to the floor and act like a sleeping turkey until the alarm clock rings. i love being able to call them my turkeys.